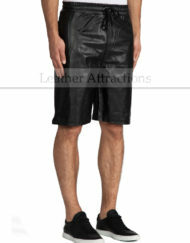 Add a contemporary twist to your wardrobe with these side pocket leather shorts, crafted with soft leather in a lean, precisely tailored comfortable fit. 2 slanted side-pockets with 1 non-functional decorative flap pocket at front. 2 welt pockets at rear. Zip fly with button closure and belt loops. 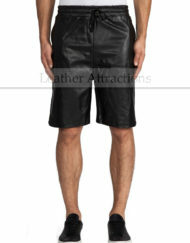 Made with luxurious Italian lambskin leather.